The Euro 2016 will be the 15th UEFA men’s national team football European championship. The Euro 2016 is a European national team football tournament organized by UEFA, which is scheduled to be held in France between the 10th of June and 10th of July. For the first time, the European national teams Championship will be contested by 24 nations, expanding on the format of 16 nations used since 1996. The host team, France, is automatically qualified for the tournament and the qualifying stages for the remaining 53 European nations looking to secure the remaining 23 places in the Euro 2016 will run from September 2014 until November 2015. Under this new format, the nations that qualify for the tournament will initially compete in a group stage, consisting of six groups of four teams. The group-winners, runners-up and the four best third-placed national teams progress to the three knockout rounds, followed by the final. France was chosen as the host by UEFA, on the 28th of May 2010, beating bids from Italy and Turkey. This will be the third time that France holds the competition after hosting the 1984 edition and the first ever Euro in 1960. The winning side is will be awarded the Henry Delaunay Trophy, named in honor of the first General Secretary of UEFA, Henry Delaunay. The trophy is made of sterling silver, weighs 8 kg (18 lb) and is 60 cm (24 in) tall and can be kept by the winning national team until the next tournament. The runners-up are awarded a plaque and silver medals. The football stadiums chosen by the French Football Federation to host the Euro 2016 matches are in Paris, Marseille, Lille, Lyon, Nice, Bordeaux, Lens, Nancy, Toulouse and Saint-Etienne. The tournament's mascot, chosen in an online poll, is Petit Viktor (Little Victor), a name based on the word victory. Petit Viktor is a little boy that gained superpowers after finding a magic cape, football boots and the official Euro 2016 ball. Each nation that qualifies for the Euro 2016 is allowed to select up to 23 national footballers to represent the country. Previous winners of the competition include Germany (3), Spain (3), France (2), Italy, Czechoslovakia, Netherlands, Greece, Denmark and the Soviet Union. The tournament will also distinguish individual performances with the Top Scorer and Best Player awards as well as by choosing the Euro 2016 Best Eleven, comprised of the best players, in the tournament, in each single position. Even though Portugal’s performance was an exceptional team effort, the motivation given by their star man propelled them to win the title on Sunday. As Roy steps down as England Manager, who could be next in line for the job? If you have the boodle and the time, you can knock yourself out with fantastic sports events in France in June & July. England manager Roy Hodgson has opted for youth but just how far can the three lions go? Should England adopt its own unique national sporting anthem? MPs to discuss whether ‘God Save the Queen’ should be replaced as the anthem played when England’s footballers compete for their country. Football friendly goes ahead despite Paris attacks to show that life goes on. Martin O’Neill’s side face a tricky two-leg challenge to qualify for the European Championships in France. Roy Hodgson rang the changes against Lithuania but knows that the challenges will be harder from now on. Part 2: Can all the home nations qualify for France in 2016? 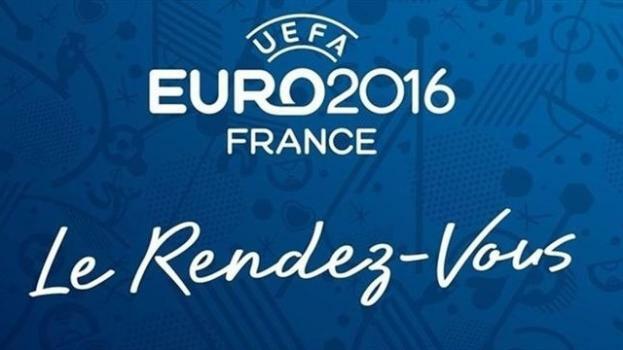 What is the likelihood of Scotland and the Republic of Ireland qualifying for France in 2016? Part 1: What ‘price’ on Euro 2016 qualification for all the home nations? Although it may be unlikely, could we still see all of the home nations in France next year? Scotland are the happier of the two teams after their European qualifying draw in Dublin. Wales boosted their chances of Euro 2016 qualification with a priceless victory over Belgium. Scotland and Northern Ireland tasted Euro qualifier success, while ROI snatched a late equaliser against the Poles.